A terrifying and bizarre cat-like creature with a human face has allegedly been found in Malaysia. even though Malaysian police are calling it a hoax. Videos and images of the weird and strangely adorable human-cat have gone viral. 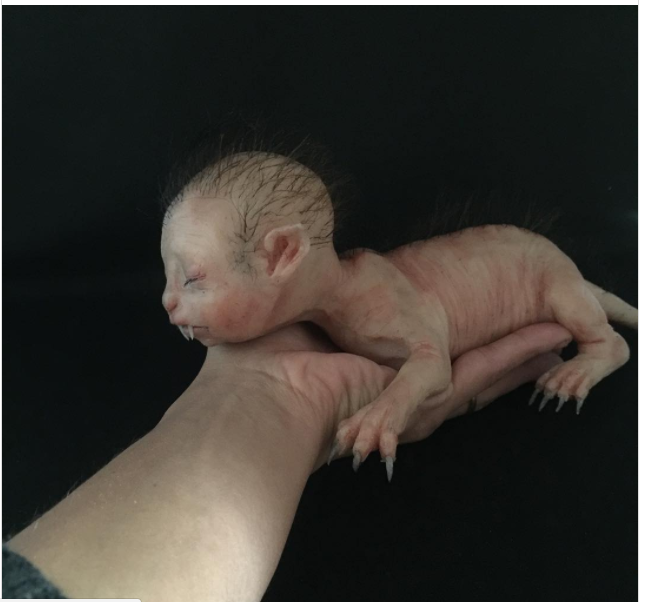 The tiny creature has a few strands of black hair on top of its human-like head and a cat like body with long fangs and sharp claws. Pictures were believed to have been taken in the Pahang area of western Malaysia. State police boss Datuk Rosli Abdul Rahman issues a statement to say that the creature is fake. Many say the creature is a "silicon baby werewolf" by Laira Maganuco who sells under the name babycreatures on Etsy. We think it's creepy AF, but for some these dolls are just adorbs! What do you think?